Chris Miller lives in Katy, Texas, with his wife, Jana, and two sons, Joseph (12) and Carson (8). Chris tells AotS about his family’s first cruise with Autism on the Seas and how he became inspired to start Autism Anywhere, a Youtube channel that offers travel tips and advice to families with special needs children. Chris features first-hand experience by sharing his own family’s vacation adventures with their special needs son, Joseph. According to Chris, Joseph’s autism is quite severe. He's mostly nonverbal, but has some echolalia, where he'll repeat things from TV shows, etc. Chris says, barring the occasional meltdown, Joseph's a great kid. AotS: Tell us about your new YouTube channel and soon to come website, Autism Anywhere. Is your mission to share your family's experiences so other special needs families can overcome their apprehensions about travel? Chris Miller: Exactly. We're big proponents of getting out with your child. We know lots of people who have kids on the spectrum and they have become virtual shut-ins. They never get out, they don't think they can go out to dinner, they don't think they can go anywhere. We believe, the more you get out, the more you take your kids out and let them experience things, the better they'll be able to cope with life. We just want to share the tips and tricks that we've figured out along the way and just share our experiences going to new places, such as the Autism on the Seas cruise. AotS: Okay. Tell us a little bit about how that all played out. How did you decide on an AotS cruise for your first time? CM: Well, first off, we live close to Galveston, which is the port we departed from. A couple of years ago, we participated in an Autism on the Seas ship tour, which is designed for families like us who have never cruised with their special needs child before. We were able to go on board, meet some of the volunteers that were available at that time. We just got a good feel for how things were handled, got to meet people, and realized, hey, this is something we can do! So, we finally got together and thought, "Okay, let's just go ahead and do this." We booked the cruise, and when we did that, we started researching heavily into what we would need to bring, and so forth. One thing we always do before any trip is just start watching YouTube videos on everything. We're big fans of YouTube, obviously. We made sure to watch it with both of our boys so they could see what the ship looks like. There are lots of virtual ship tours, so we searched specifically for Royal Caribbean’s Vision of the Seas, which was the ship we were sailing on. We just watched those videos repeatedly for a long while. Then, around that time, we decided, you know what, it would be nice to have videos of our experience on an Autism on the Seas cruise. So we thought, "Okay, let's just do it." We'd been toying with the idea of developing a vlog, and the cruise was the perfect opportunity to get us started. AotS: How was Joseph's experience? How did he interact with the staff? CM: Everything was excellent. The only issues were fairly typical with Joseph needing to adjust to sleeping in a new place. The first few nights he settled down and got to bed a little later than usual. But the staff was excellent. Fortunately, the way it's structured is, you meet the staff a couple of times before you drop off for respite, so Joseph got to know a few of the volunteers at the sail-away party. They also do a private one-on-one meeting, so we were able to get to know each other and he was able to get comfortable. It was a very smooth experience all across the board. AotS: Did you take full advantage of the respite? CM: Every time it was available, we took good advantage of it. We know that it's a rare thing to come by in the autism community. There were lots of shows and activities on the ship. There are always at least 10 things to do on a cruise. In fact, we did a wrap-up and we were discussing that maybe next time we do a cruise we might want to schedule some naps, because there's just so much stuff to do that you can just go, go, go, go. AotS: It’s great that you could enjoy being carefree for a little bit and reconnect with your wife and your younger typical son, Carson, yes? CM: Yes. Oh, Carson enjoyed respite, too. He went in with his brother to the respite times more often than not. There were a couple of instances where we took him to a show that Joseph wouldn't find interesting, but he loved it. He was actually asking, "Hey, when's respite?" and one of the occasions was at a beach. You can't beat that?! AotS: How did Joseph do with the scheduled private activities for AotS cruisers? CM: Joseph actually got up a few inches on the rock climbing wall, but they certainly didn't pressure him. He got the straps on and so forth, the protective gear, and he would just kind of walk up to the wall, look at it, and get his feet on the first one, and then back off and then look at it. That was a good experience, because since they had a dedicated time for just us families, he was able to do it at his pace. There weren’t people breathing down our necks like, "Come on, hurry up." Oh, and swimming. He loves swimming, so that was great to have that available. We did that every sea day. They had a swimming time planned with staff. It was nice, because normally my wife or I have to be with him 24/7, and so the staff was able to swim around with him, as well. That took some of the pressure off. He loves swimming, so that was something he really enjoyed. AotS: Before we let you go, give us a few of your tips. If you were going to advise a fellow traveler and parent in your situation, how would you tell them to prepare? CM: I would say you know your kid better than anyone. One thing, when you're in the autism world, you become an expert on your own child. So make sure that you have the items that they need to calm down and such, because when we would have some downtime in the room, he would go to his iPad or we would bring dot to dot books, because he likes crafts and activities and coloring. There were times that we would bring some of his own items to the respite and drop those off with him, just in case he didn't like the activities there. That way, they had a backup if something was wrong. That helps. We brought some items just to make the cruise room a little bit more like home, like certain things from the bathroom and certain stuffed animals and things like that, just to help ease the transition. That helped, too. Just be prepared, essentially. Make sure you have backup batteries for iPads! The other thing we did in preparation for the cruise was to create something of a social story by using those Youtube videos. It certainly helped Joseph to see the ship, see what the rooms looked like, etc. I do recommend that people start as early as possible. I see people in the typical world do things, like surprise vacations, where it’s like, "Hey, we're going to Disney World!" For kids on the spectrum, that's not something you want to do. You want to, the second you know that you're going, start working the thought into everyday conversation. AotS: So, are you going to cruise with us again? CM: Yes, definitely. We're going on an AotS cruise to Key West and CocoCay next summer. 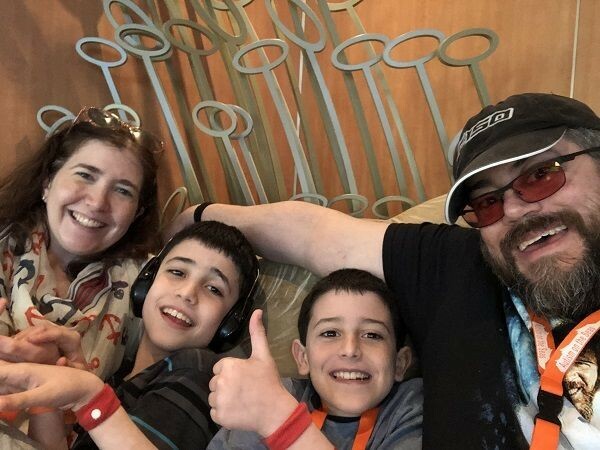 This past June, the Lack family of Tempe, Arizona, joined dozens of extended family members on an Autism on the Seas-staffed Disney Wonder Cruise to Alaska. Their adventure was filled with surprises and adventure, including one-on-one time with Mr. Mickey Mouse, a helicopter ride, and dog sledding. WATCH our interview with Rachel Lack, mom to Henry, documentary filmmaker, and creator of the new docu-series, "Across the Spectrum"
AotS: We’re intrigued with your story, not only from a guest perspective and your vacation with us, but also what you're currently working on professionally as a documentary filmmaker. I think folks who listen to us would really find it interesting. Why don't you tell us a little bit about your Across the Spectrum project? Rachel Lack: As a filmmaker, when my son was diagnosed with autism almost four years ago, I was looking for documentaries and there wasn't really a lot out there about what happened right at the beginning when your child is first diagnosed. So, I thought, "I need to film this, and I need to film this for other people so I can help other people as I would have wanted to have been helped." When you get the diagnosis, a lot of times the doctors don't tell you anything other than, "Your child has Autism Spectrum Disorder," and maybe offers a few pamphlets. They don't really tell you what to do afterward. You're kind of hit with this tornado of emotion and helplessness. I turned to my camera, and I filmed myself throughout. Especially the first year, I filmed myself a lot talking about how I was feeling and crying a lot, because that's what you do, especially in the beginning. But I wanted to also show people that it's not a death sentence. It gets better as it goes on. There's help. So I filmed myself, and I found four other families in the Phoenix area. I live in Tempe, Arizona. We are following five kids in Arizona. I've been skyping with three families in Massachusetts. We're following these eight kids, from the time they are diagnosed through adulthood, because it doesn't end when the kids are adults. It's going to be a long series. I'm learning a lot. We're almost four years into this. Aots: Just so folks understand how long you've been doing this, your son, Henry, who's on the spectrum, is six years old now. He was diagnosed when he was two years old. Correct? Rachel Lack: Yeah. Almost three. So he was diagnosed on October 14th, 2014. So two months from four years, and he'll be seven in November. AotS: If folks want to just check in to keep track of your progress, particularly if you end up streaming your program on Netflix or some of the other streaming outlets like that, do you have a website? Rachel Lack: Yeah. 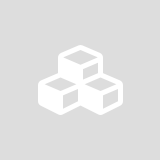 Right now our production company is Purling Place Productions, and the website is purlingplace.com. Right now we're still working on that, because we are starting the first season of editing. It took me a few years to figure out what direction I wanted to take with this. First, it was going to be a documentary, and then I realized how much information there is. It can't be just one documentary. I realized that it needs to be a series. As I was filming these kids, I was like, "We need to film them throughout their whole," ... and when I met these families, I said, "We might be filming you guys till the kids are passed 18." And everyone was on board. It's great. I've been filming updates every six months with the kids. The ones in Phoenix we do some play dates with the kids. We've got a lot of footage of the kids together playing, parallel playing. AotS: Yeah. There's a 360-degree view of every aspect from the parents' perspective, through the child's eyes. I think that's wonderful. I wish you luck with that. Okay. Now we want to talk about your vacation. You went to Alaska, right? AotS: Back in June? And you went with your parents, which would be Henry's grandparents. Right? You were celebrating their 50th anniversary? Rachel Lack: Their 50th anniversary. Yes, and my three sisters came and their families. Henry was the only autistic child. My niece and nephew stayed with Henry and played with the AotS staff – it was great. Our experience was a little different than I think the average family would have, because we were the only family with an autistic child. We had two team members for Henry, basically, and then my niece and nephew. But they were really there for Henry to make sure Henry was okay. It was amazing. And Henry bonded with both Sandy and Jamie right away. AotS: How did you initially find out about Autism on the Seas? Rachel Lack: From doing the documentary I have become really involved in the community. I think from a Facebook group somebody posted about Autism on the Seas a couple of years ago. I thought it was really cool, and I started following the page. When my parents first told me about the cruise, they came to me first, because they wanted to make sure I was okay with Henry being on a cruise, being non-verbal. Since I knew about Autism on the Seas already. I said, "That's perfect. I know a company that we can contact that will help us." I just contacted them right away. AotS: Tell me a little bit about Henry. Did you have any kind of concerns before taking the trip? Rachel Lack: Yes. A lot of concerns. We have flown with Henry a lot, and we travel with him. I grew up in Toronto, Canada, so we go back and forth in the summer to Toronto, but we'd never been on a huge ship like this. I don't even think Henry had seen a ship. He had seen a ship on television, but he'd never seen one in person. We had no idea how he was going to be on the cruise, how he was going to react. You're nervous about large crowds. You're nervous about trying to get on the ship. That's the first thing that you worry about is the crowds getting on the ship, the waiting. They don't wait. Henry loves trains. He will wait in line for a train, because he knows he's getting on the train. Anything else, he doesn't understand what he's waiting for. So he's not going to wait. There's a lot going on in your head as you book these trips, and you're like, "What did I just do?" But Autism on the Seas was amazing. Sandy was our team leader, and she contacted me a month before. Three weeks before we had a phone call. We talked for an hour. She had been on the Disney Wonder before, so she knew the ship and she knew Disney. Disney's a little different than Royal Caribbean, because they don't have the connection that Royal Caribbean does. But we had an amazing trip. AotS: Tell me about some of the highlights with regards to activities on the ship. Did Henry do anything different that surprised you? Did he get involved in things that he may not have normally taken part in? Rachel Lack: Everything surprised us about this. From the minute we stepped on, Autism on the Seas was there right away when we got there. They got us right through the lines. You see Team Orange, and you're like, "Yeah." They're right there in Orange. They had orange flags and they got us right on the boat. It only took about a half an hour for the whole thing. We weren't sure about how he was going to be with the characters, because on the cruise they have got all the Disney characters. Right away Henry saw Mickey and ran to him. Henry tried to grab his nose, so Mickey was then touching his nose, then Henry was touching Mickey's nose. They were so great with him the whole time. Any of the characters that we could meet we would go and meet, even the characters he didn't know. Captain Hook? He'd never seen Peter Pan, but he gave Captain Hook a high five. It was amazing. So we were like, "Okay. We gotta go to Disneyland now." He didn't go on the waterslide, but he loved the pool. One of the excursions that he absolutely loved that we were a little worried about, we knew he would have fun, but we weren't sure was a helicopter trip to a glacier. Then we went dog sledding on the glacier. We had to practice with headphones, because he doesn't like anything on his head. So we practiced for like three months before the trip having him wear headphones. And he was great. I think he was so excited to be on the helicopter. We weren't sure what he would be like with the dogs, because we have a cat, and we don't have a dog. He just absolutely loved the sled dogs. It was the best excursion that we could have ever done. AotS: I'm going to go out on a limb here and assume that having a child on the spectrum, you probably don't get to go out and have me time or alone time with your husband, right? Did you get to enjoy that on the ship? Did you take advantage of the respite? Rachel Lack: Oh yes. We did. We had about three hours of respite a day when we were sailing. Then on port days, we had one to two hours at night. It was great. They had movies on the boat. I think we went to see Solo, my husband and I. I was able to spend time with my older cousin, my older niece and nephew who are 16 and 13. That was great. Because there were so many of us we could do that. The respite was amazing. You felt like you were a normal family again. You could actually sit and relax for an hour, and you know the people are great. People know that you can't just leave your kid. If you go to a resort or something you can't just leave them in childcare. You can't just leave them with anybody, especially a non-verbal child who can't tell you when something’s wrong. But you feel so comfortable. Henry just loved the staff from the very beginning. Henry had a connection with Sandy and Jamie. It was great. We felt very comfortable. And my niece loved going there too. She loved going with them. AotS: What advice would you give other families who may be thinking of an Autism on the Seas vacation? Rachel Lack: You're going to be nervous, but know that you've got these friendly faces that are going to meet you right at the beginning. They are going to take care of you and your child all the way through. They took care of our whole family, not just Henry and Steve and I. They took care of everybody that booked with them. I know you're hesitant to book it, but It's worth it just to get on and off the boat first. That was my worry. Too many people and the meltdowns that might happen. We had no idea how he was going to react. Having these friendly faces right there to greet you at the beginning, because you're stressed -- It's worth it. You're going to have a great time. Just know that there are people that book it, and then they book immediately the next trip afterward, and there's a reason for that, because you feel relaxed, the kids have fun, and you have fun. 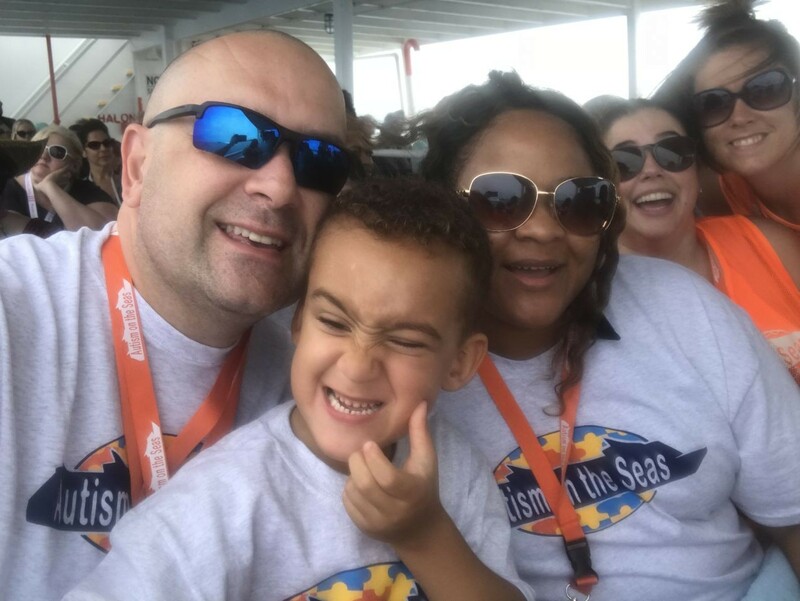 The Bennett family from West Palm, Florida, took their first Autism on the Seas cruise on Royal Caribbean this past June. Their pre-schooler, Camden, who has autism, sailed with the family to Nassau-Bahamas, and according to mom and dad, his socialization and interaction with staffers and other kids surpassed their expectations on a daily basis. Autism on the Seas: Give us the highlights of your trip. Mark Bennett: This was our first cruise, not only with Autism On The Seas, but also the first cruise for Camden. So this was sort of an experiment for everybody. We went on a five a day, four-night cruise, just to kind of keep it a little shorter to see how he would do. We opted for the one-on-one staff experience with a remarkable staffer, Patricia Brown -- She goes by PK. She contacted us ahead of time to introduce herself to Camden via FaceTime, so he wouldn't be surprised when we met on the ship. We prepped Camden by showing him lots of videos on the Royal Caribbean website. Essentially, what happened was the whole experience out-performed any expectations that we could have ever had. We arrived, and all the girls in orange were there at the pier. We boarded quickly and the Autism on the Seas staffers quickly went from strangers to best friends almost instantly. They're so welcoming, so amazing. I couldn't have asked for a better experience. All of the fears that we had were put to rest very quickly, and we're going to make this an annual experience. AotS: That is so kind of you to say. I know that our viewers are really going to take a lot from that. Tell us a little bit about Camden, specifically. How does autism manifest in his behavior? What are some of the things that you were a little anxious about in terms of taking this trip? MB: Camden was diagnosed at age three, and his autism primarily affects his social interaction with other people. That has gotten a lot better over the years with ABA therapy, but we wanted to expose him to other children on the spectrum, and not just his classmates in preschool. One of our greatest fears was elopement. That's a pretty common issue with autistic children, and it was a big problem for our son. We've had at least one terrible incident where we lost him for a couple of minutes. So there is a fear of elopement and losing Camden. The cruise ship itself generates fears of, obviously going over the rail. There's a lot of pools and Camden is drawn to water. So there's the fear of the water. All of those fears had been thoroughly thought through and discussed with AotS and PK. So it became very obvious that our fears could be put aside for the cruise because that's just how great you guys have been with him. AotS: Had you taken a vacation since Camden was born? MB: Yes. Last year in April we went to Disneyworld. We were still living in Georgia at the time, and we drove down to Disney and spent a few days there. We had kind of a hit and miss experience there. Camden was more obsessed with riding the monorail and watching the automatic doors than he was any kind of ride or characters. It was hit or miss. I think for my wife, Thelma and I, it was not as relaxing as a vacation should be. I know I'm sort of the super helicopter parent, and so we were walking around big crowds at Epcot Center and you're afraid of him running away, you tend to not relax as much. That was sort of the issue there. I don't know how he would do now, but that's the advantage of Autism on the Seas. They allow the parents to really relax. AotS: How did you and Thelma take advantage of the respite? MB: To honestly tell you, we didn't do a whole lot other than relaxing. We went around and enjoyed the ship, enjoyed the pools, had a drink. Honestly, we didn't know what to do with ourselves. It was a fairly new experience to be on a vacation and not worry about our son. We took part in the excursions, went to the beach. It was nice to be at the beach and not constantly have one of us watching him. PK was there to be involved. They all came with us on the excursions and were very, very involved. So, we were able to relax and get some sun and have a drink, enjoy the music and just do the simple things that people do on a vacation all the time. AotS: You mentioned that one of the things, in particular, that sticks out in your mind about Camden is the socialization piece. Was there anything that moved you during the cruise? Did he do anything new or different that you were sort of surprised and delighted with, that he may not have done outside of that experience? MB: You know, he was interacting with other families and other children a lot more than I anticipated. Camden does well around children that he knows, for example, in preschool. He tends to be a little shyer when it comes to kids he doesn't know, but there was sort of a bond that was created with the other kids. He continues to ask about them to this day. "How are they?" He sees a picture, he wants to know, "Oh, there's so-and-so." He was drawn to them, and they shared a lot of experiences, I thought. Beyond that, what surprised me? Not a whole lot. Camden always exceeds our expectations. I think that we know that we're the ones often that hold him back. He's our only one, so we tend to be very, very cautious, but Camden had a blast. He had an amazing time. He called it the Royal Caribbean Hotel, and he's ready to go back and keeps asking about it. AotS: Mark, for folks who are still out there that want and need this break and just experience a relaxing, fun adventure, what would you say to them? MB: I would say that it is an experience that you will ... you'll wonder why you didn't do it long ago. All of the anxiety and fears that you may have, like I said, Autism on the Seas have seen those issues, problems. They've already been through that. Every child is different, of course, but they're prepared. They're prepared to handle your fears, and you can always talk to them and you will learn quickly that those fears are exaggerated among the parents and not so much the child. We realized very quickly that all of the things that we were worried about, we were worried about in our heads, and it was really not founded. I would encourage parents of autistic children, you deserve a vacation. Caring for autistic children is difficult. It is extra difficult compared to non-autistic children, and I think that wears on parents, and I think you need a break. This is the perfect way to get that break. I love to cruise, my wife loves to cruise, and to me, this is the perfect vacation. We're going to Alaska next year and we're going to make this an annual thing, because I can think of no better way to do it. This is how you relax as a parent of an autistic child. Autism on the Seas recently caught up with Kim Poppins, a single mom of a handsome teenage son with autism. After a stressful divorce, Kim needed a break to find some space, have some fun – and not feel isolated. She found the Autism on the Seas Facebook Page and quickly connected with other families. 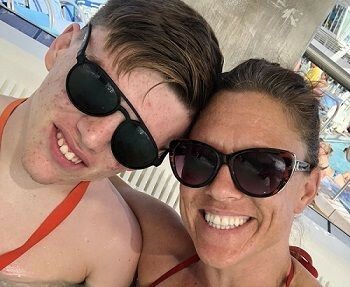 After listening to others’ experiences and sharing her vacation dreams, Kim decided to take the plunge with her 16-year-old son, Andrew, and joined AotS and staff on a 7-night Royal Caribbean cruise last February. Watch our podcast and read the Q&A below to hear her story to learn about the positive effects this trip imparted on her and Andrew.